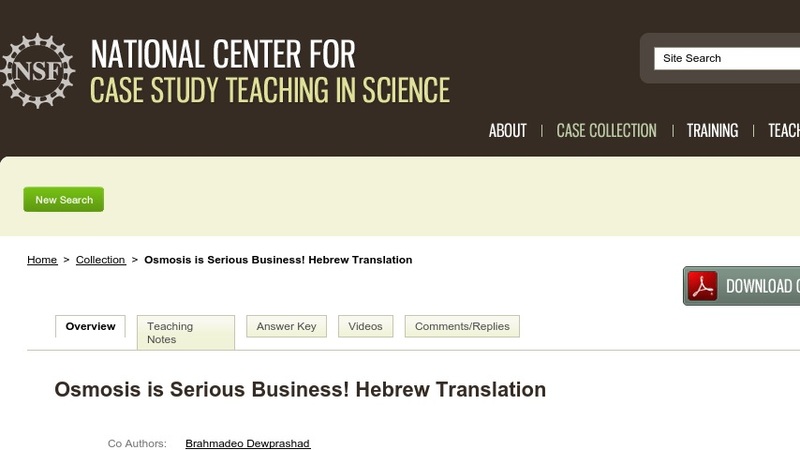 This directed case study, translated from the original English into Hebrew, involves two “stories,” each concerned with some aspect of osmosis in living cells. Part I is centered around the effects of a hypertonic environment on plant cells, while Part II focuses on the effects of a hypotonic environment on animal cells. After reading the parts, students working in small groups evaluate the information and answer the corresponding questions. This case was designed for use in a non-majors biology course, but could be adapted for use in a majors’ introductory biology course or a high school biology class.